The challenge: pitching three potential brands for a new-to-market imported aged cachaça. The first concept, Ocelote aims to identify with the lifestyle of our target market. The sleek, upscale look of the bottle and custom type treatment would look right at home on the shelves of the hottest night club. 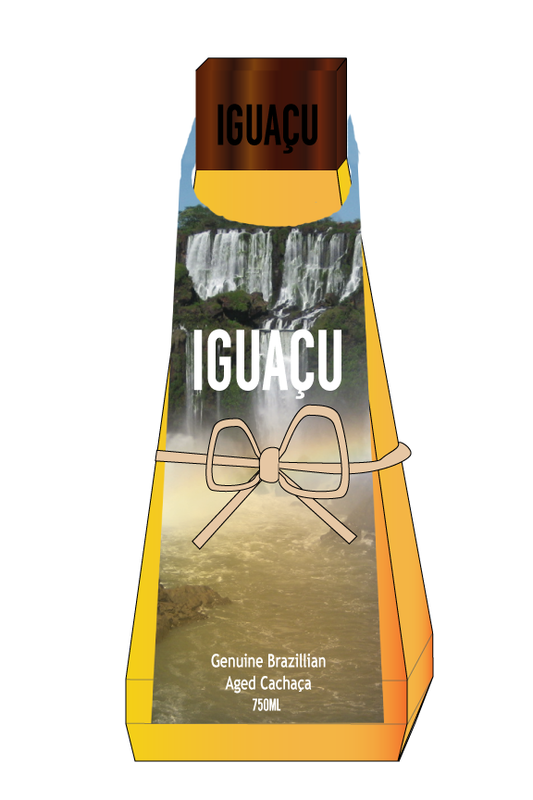 Iguaçu is named after a well-known waterfall in cachaça's home country, Brazil. The idea driving this concept is that our target market is open to, and seeking, new experiences. The value this brand would offer is a seemingly authentic Brazilian experience while staying north of the equator. 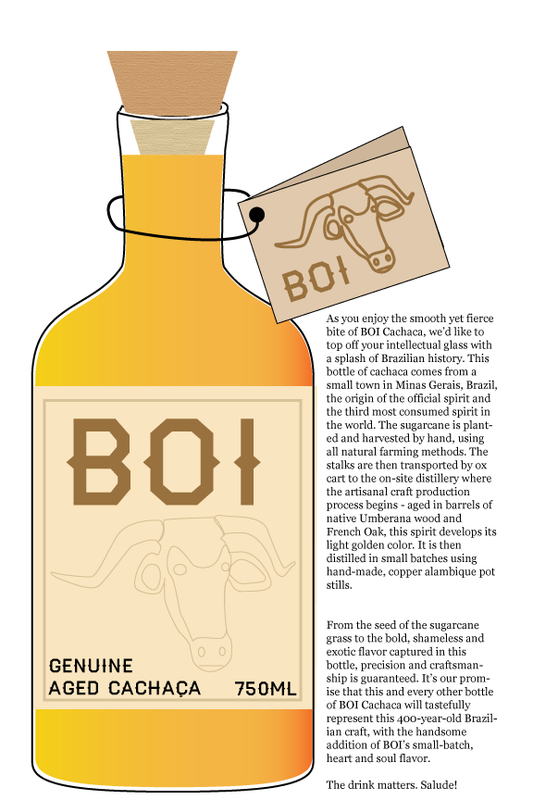 Boi, Portuguese for ox, aims to highlight the genuineness of this product. The name reflects the fact that the sugar cane that makes this particular cachaça is transported through the hills of Minas Gerais in an ox-driven wooden cart. An antiquated tradition. Our research suggested our target market appreciates the value that this story tells about the product. The story, which would be printed on the attached card, is included in its image.